Sorry to say this, but I won't be making a patch for MMM. I don't play FO3 and I have other plans. If anyone wants to make MMM patch, feel free to use my stuff and upload it. I'm sad about this news, but thank you anyway for your good work. 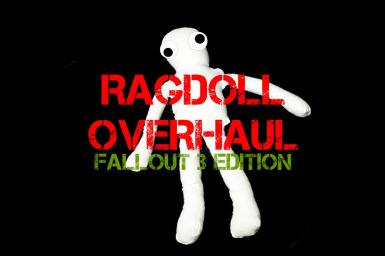 Your Ragdoll Overhaul is a must have, even without a patch for MMM. Thank you! Unfortunately I don't know how to do, so maybe someone else can make a patch in the future, that would be great. Where's the New Vegas equivalent? This mod is making my game go crazy when I'm born. All the cutscenes are a bit weird because of it. Yes! Had the same thing! Did it also make the lips of the various characters move too fast for the dialogue spoken? 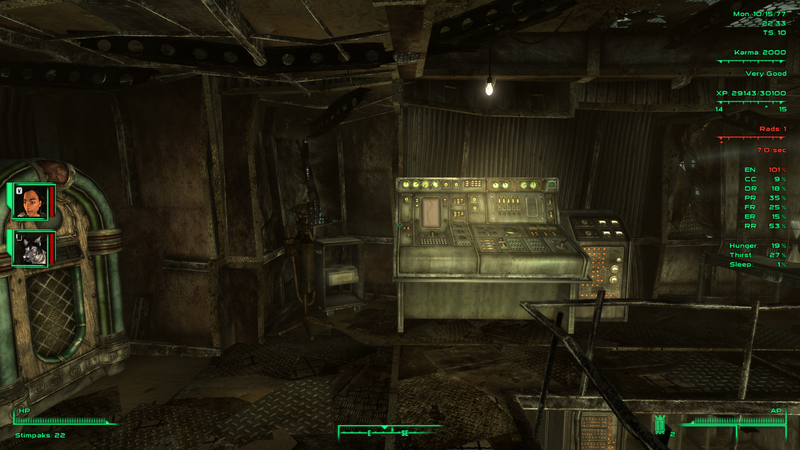 For future use do not install mods until you actually leave the 101 vault. It can cause serious issues with mods such as Menu styled mods like JIP companion or selective fire mods and even has issues with RobCo Certified. As you age your items are discarded before you take the G.O.A.T test. The video sold me on this mod. If this mod fixes that bug that makes sometimes dead bodies (of whatever nature) begin to screw up through all the screen, than it would be really GREAT. Hi! I have found a bug. If "with collisions" version is installed you cant target human torso in VATS. "No collision" version works fine. Something is wrong with characters skeleton.nif. I suggest you cycle through body parts using arrow keys. 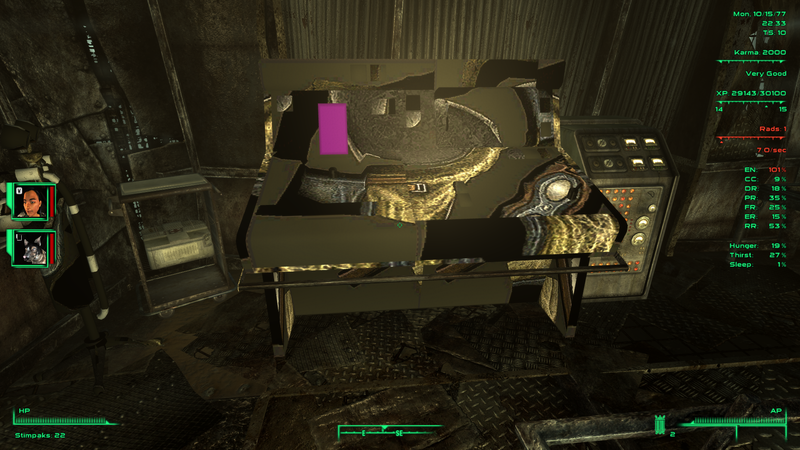 I've been going through trying to figure out which mod was causing this, though I'm admittedly a bit baffled as to why the Ragdoll mesh would cause this. EDIT:With what limited skills I have (still learning), I can't find any reason why a Core Robots mesh is being applied to a worldspace console, but only when the ragdoll mesh is active; neither mod contains a reference, nor a similarly named mesh, in regards to that object. I can't explain either, but at least there are some differences between the two meshes: the one from Core Robots has a texture reference where the RO mesh doesn't. Easiest way for you would be to go without the RO features for the protectron and overwrite its mesh with the Core Robots' one. just to let ya guys know. 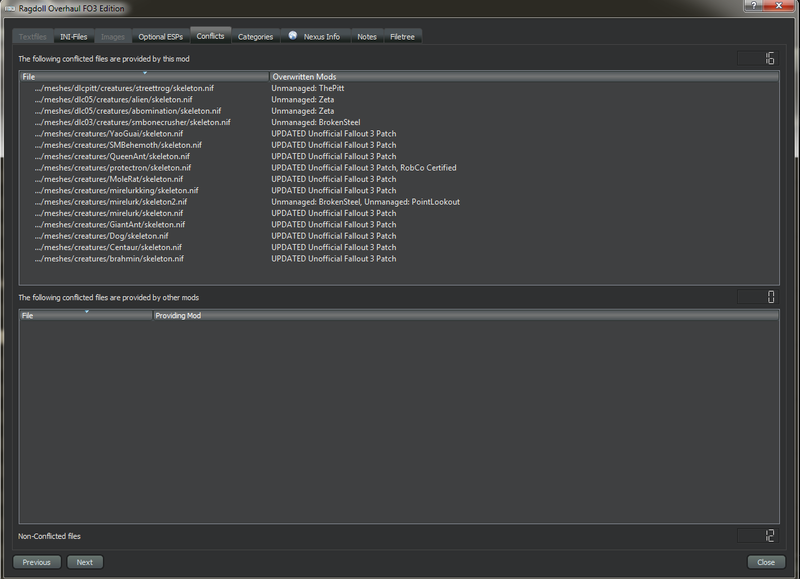 this mod works just fine with new vegas due to it running on the same engine. Does anybody know where i could get the New Vegas version? Its pretty much a must have mod for me now. Thanks! I Found the files in a russian mod site called "falcon-lair". I don't speak any russian so it was quite a chore to get them I sure hope they are the right files anyway. I've uploaded them on my google drive without KiCHo666's permission and will remove them if he asks me to. EDIT: Now since KiCHo666 got his New Vegas mods Back on Nexus, I've taken the link down.